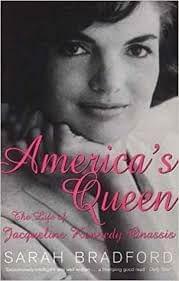 Jackie Kennedy was a twentieth-century icon of glamour, elegance and grace. As the beautiful young wife of President John F. Kennedy, she was adored, her style imitated across the world. But beneath the perfection of her public life lay contradiction, passion, and, all to often, tragedy. Sarah Bradford's brilliant new biography not only gives a fascinating account of her time with JFK, but also of her life after his assassination in 1963, in all its colour and controversy.